I am working on a new edtech tool for teachers. I’ve received very positive feedback on our MVP but am hearing mixed reviews when it comes to teachers’ willingness to pay. We think freemium might be our best bet, but we are concerned about the overall monetization strategy. Do you have any advice? Thanks for the question. While it is true – for obvious reasons – that teachers can be reluctant to pay for a product out of their own pockets, several edtech companies have built successful go-to-market strategies following freemium models (Nearpod, FlipGrid, Newsela, Seesaw and Quizlet to name a few). This is the general idea – first, hook new users with a free product, then provide a pathway to a premium, paid model. 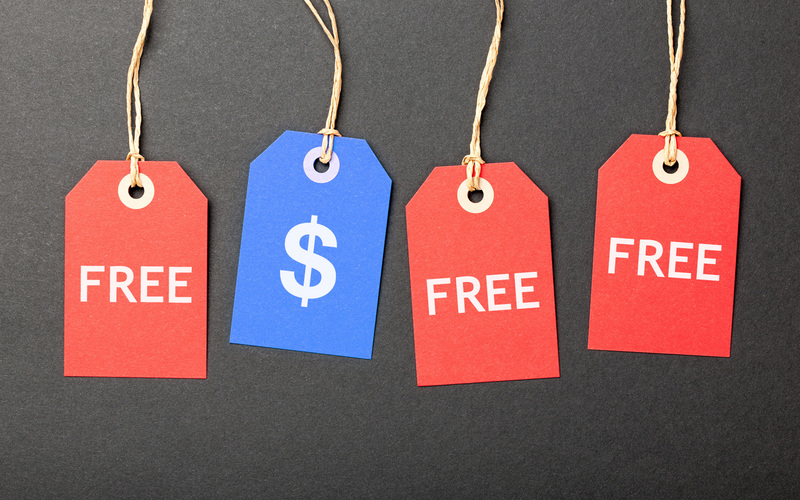 However, freemium isn’t as easy as it looks. From my experience, committing to a freemium model comes with certain implementation challenges and risks. If your monetization strategy involves selling your product to teachers (let’s call this a “B2C model”) then you need to strike a very fine balance between how much of your product you give for free and where you place the paywalls. If your free offering is too powerful, then teachers may never see the need to upgrade. Teachers Pay Teachers is probably the company that has found the best balance between free and paid, as it has been able to build an impressive business selling mostly to teachers. TpT sellers likely offer a few lessons for free to give teachers a sample of their content offering. When teachers find an author that they like and trust, they are willing to purchase some of the paid content as well. On the other hand, if “paywalls” begin appearing as soon as teachers sign-up, then that may deter them from engaging enough with your product. My advice is to provide enough value on the free side of your platform before you start asking teachers to pay. Also, be aware that many teachers are so strapped for cash that they may choose not to engage with a product that will require a future payment. Teacher referral programs or advocacy initiatives can also be a good way to give teachers “behind-the-paywall” premium features without having to pay for them. For example, at Nearpod we offer free upgrades to those teachers that volunteer to lead product trainings for other colleagues at their schools. All in all, I think it’s important to find a good balance between your paid and free features – remembering that if you unleash your paywalls too quickly, you may not get enough traction to build a large user base of teachers. Many edtech startups have found success following what is called a “B2C2B model,” where the core product is sold to teachers (B2C), but the platform ultimately gets paid for by their schools or districts (B2B). If you follow this model, be aware that there may be natural conflicts between your B2B and B2C strategies, and you will need to decide which one to prioritize. When we first started Nearpod, we focused almost exclusively on our B2C strategies in order to build a robust base of teachers, who became our earliest adopters. It wasn’t until we our product matured with the addition of new features, content, and services that we began to prioritize our B2B strategy. At all costs, you must avoid taking away free features. Regardless of how protected you are by your “Terms of Service,” teachers will feel betrayed if they feel that you have changed the rules. To avoid this, I suggest taking extra time upfront to experiment with and solidify the part of your platform you are comfortable giving away for free. It will be incredibly challenging to change this offering later. One case in point is Remind, a free school communication software loved by its users since it was launched in 2011. Earlier this year, as part of a cost reduction effort, they announced that they could no longer offer free, 300 character messages, and some of their users were understandably angry. At Nearpod, we’ve been always very transparent about our freemium strategy, and we have a firm commitment to never removing free features from our product. While we’ve added many premium (paid) features since we launched our School and District licensing options, we’ve also continued to work on improving the free offering. In short, freemium can be a great option for many companies, but in no way should it be an easy decision. Take the time to think about your long term monetization strategy and determine a core free offering that you will not try to retract two, five, or ten years down the line. ← How should I balance impact with economic sustainability in edtech? 1 Comment → Should I commit to a freemium model?